Section A, Standard-Based Instruction through STEM, brings together four major disciplines: Science, Technology, Engineering, and Mathematics into one cohesive system. This section includes the benefits and opportunities associated with this new education paradigm and guides teachers to customize classroom instruction so that students develop the skills they need to survive in today’s knowledge-based world. Section B, Common Core Mathematics, focuses on the Common Core Standards for Mathematics and how educators can apply those mathematical principles to everyday life. This section contains ideas, tools, and activities that teachers can use to make math interesting and fun for their students. Section C, Common Core Curriculum-Based Measures (CBM), helps teachers evaluate and monitor basic academic skills based on Common Core principles. This section contains step-by-step guidelines and examples on how teachers can use CBM tools to assess various academic areas such as letter knowledge and fluency, early math and computation fluency, and more. By completing this course teachers gain the needed confidence to implement common state standards across the curriculum. My administrator has been talking about integrating a STEM program at our school. I really wanted to learn more about it. This was very helpful!! Thanks, This was an enjoyable course. I read and listened to everything. Well thought out and beneficial to my curriculum of Mathematics. I'm looking forward to implementing the STEM at my High School. Thanks, and Be Blessed. Love the course. Thank you! This course helped to enrich my understanding of meaningful classroom activities that address the eight standards for mathematical practice. I will continue to reassess my own teaching lessons, activities, and strategies to deepen the understanding and application of mathematical concepts of my students. This was a very good course for me. I learned a lot that I did not know because I have very limited STEM experience. These are excellent modules for professional development and renewing a license. Thank you. I left the classroom when STEM was being introduced. I have spent the last few years as a tutor faking knowledge of STEM. This course helped clarify the history, terminology and implementation of STEM. This course opened my eyes to the importance of making sure math is not just a repetition of practicing problems but making sure it is relevant to the children's lives. Making math practical and relevant will change any negative stigmas children have about math. I found the course to be helpful. Great experience... will use this system again! Enjoyed this course and found some of my former thoughts on math problem solving to be incorrect. Found very interesting! Took longer to complete than I thought even with reading info to me. Thank you for the convenience of the online courses. Very easy to navigate. I appreciated the opportunity to learn and explore educational concepts for teacher license. .
Good overview of STEM and review of basic best practices of teaching. The practical examples, units plans, and research articles gave the class a bit more depth, which was helpful. Please keep this available for teachers. 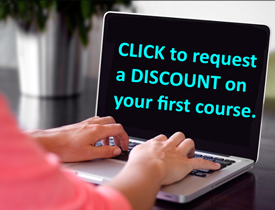 I teach overseas and these on-line courses are great professional development resource. This was convenient and easy to follow with new information to help me in my classroom. Thank you. Thanks for providing this option. It works great for my lifestyle.